13.56 MHz High Frequency RFID Modules | GAO RFID Inc.
Our large selection of 13.56 MHz high frequency RFID modules are designed to offer end users and integrators a way to easily integrate RFID functionality with their existing products. 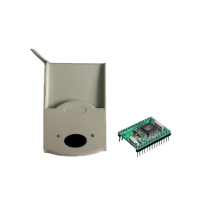 These RFID modules enable contactless, close-proximity tag reading and are popularly used in high security and fast data collection applications. 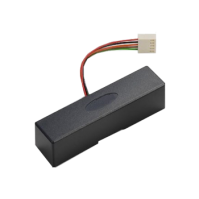 GAO RFID provides a collection of 13.56 MHz High-Frequency RFID Modules with different protocols that are designed to offer end users and integrators a way to easily add capability and integrate RFID functionality with their existing products. This type of modules has key features that enable cost effective solutions for system integrators and quick deployment. The modules are available at 13.56 MHz High Frequency. This band of electromagnetic spectrum can be read from distances of a few to several inches, allowing greater flexibility for tag and reader placement, and enabling higher processing speed and accuracy. Additionally, most of the 13.56 MHz HF RFID modules are compliant with several technical certificates such as the European Conformity (CE) directives, the Federal Communications Commission (FCC) certification, and the MIFARE specifications. Moreover, these HF modules support various protocols including ISO 15693 and ISO 14443A, ISO 14443B and ISO 18092. 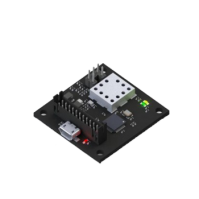 Other key technical feature of these modules include various communication interface options such as MSR ABA Track 2, RS232, UART, RS485, and USB. Furthermore, most of the modules have an operating temperature that can range within 32°F to 158°F (0°C to 70°C), which can vary depending on the device, and have a storage temperature that can range from -4° to 185°F (-20°C to 85°C), which can also vary depending on the specific features module. 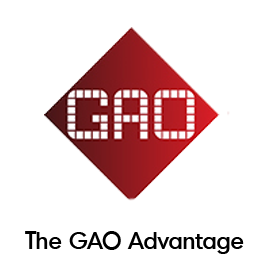 GAO RFID offers 13.56 MHz HF RFID modules in different form factors and materials. This module is built with durable, resistant materials such as ABS and PCB and come in convenient colors such as black to fit into the décor of any environment. 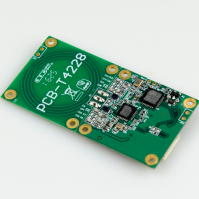 The 13.56 MHz high-frequency RFID modules enable contactless, close-proximity tag reading and are popularly used in high security and fast data collection applications. Some of the cost common application usages for this kind of modules include direct replacement of the magnetic stripe reader to RFID reader. The modules can also be uses for many different applications such as access control, product authentication & anti-counterfeiting, contactless payment, handheld reading/encoding, item-level inventory management, patron management, patient safety and printing/encoding. 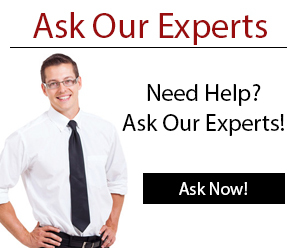 Our list of modules is large; our Experts are ready to help you choose the right RFID module for your application’s needs.